Does the idea of eating fat scare you? You’re not the only one. Food containing fat in our country has become on the banishment list thanks to the non-fat/low-fat foods that have come to market over the more recent decades. We’ve been bamboozled by the clever marketing of the food manufacturers to believe that these enticing new food products would give us the figure we craved. Yes, they’ve lied to you, but you’re no longer under their spell. Fat used to be a very welcome ingredient in households in our country, and still is widely accepted across the rest of the world. To be fair, there are different types of fats and we can classify them as “good fats”(unsaturated) and “bad fats”(saturated), for the purposes of our health. Let’s get into the details on the what and the why. While healthy fats (unsaturated) have the ability to lower cholesterol, increase metabolism, improve brain function and more, unhealthy fats (saturated) can contribute to chronic disease and most definitely to weight gain. 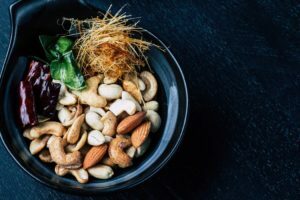 Basically, you want to do your best to avoid highly-processed fats that are full of multi-syllabic ingredients that are too lengthy to pronounce. Vegetable oils are not a healthy source of fats, and neither are processed meats(like deli meat, sausage, those tiny little dino-chickens covered in batter), snack foods or baked goods. This is where all the trans fats live which have a nasty reputation for clogging arteries and causing disease. Instead, look for naturally high fat superheros like avocados, olive oil, coconut oil, fatty fish, cashews, almonds, and even dark chocolate, but let’s not make it a food group, k? So Why All the Bad Buzz About Fatty Food? After World War II, there was some research that seemed to link saturated fats (think eggs and red meat) with coronary heart disease. Because of this, the American Heart Association recommended that the U.S. reduce their fat intake and be watchful of red meat volume as well. In light of that, food manufacturers quickly got a hold of this conclusion the research had eluded to, and capitalized on it straight away. The 60’s,70’s,70’s, 90’s and even today (although less so), you’ll see boxed and packaged goods bragging about their “low-fat” content as though this is something that might trick us into eating the chemical nightmare inside that package. 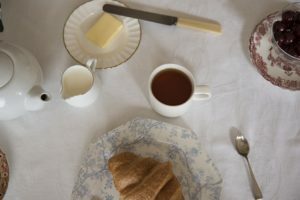 It was later discovered that the post-war research which encouraged people to believe that fat was the linked to disease, was debunked due to include the outliers in that data that were previously omitted. Well decades had passed and at least two generations of Americans had let this information become a part of their working knowledge, that when it was time to re-educate the people on the truth about fats, well, it’s still a work in progress. Even better news, additional studies shortly after, showed that choosing the right types of fats and including them in your daily diet could improve your health. Around this time is when the Mediterranean diet started getting popular, which is mainly comprised of healthy fats and oils, vegetables, fish and little grain. This style of eating has been shown to not only reduce weight, but also bad cholesterol levels as well. Which Ones Will I Choose? 1. 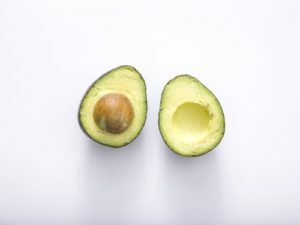 Avacado – Rich in folate and protein, you can cook with this green goodness, make dressings out of it, baked with it, top salads with it, add it to wraps, or snack on it by itself. 2. Butter or Ghee – Ditch the pretend butter, you’re only hurting yourself, and get yourself the real deal. With omega-3 fatty acids, your brain is better off functioning with butter, than without. After all, your brain can’t make it on it’s own. 3. 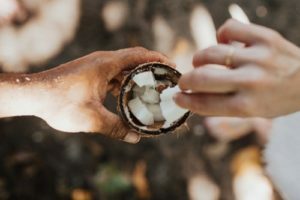 Coconut Oil – medium-chain fatty acids live here(that’s a good thing!). Your body doesn’t break them down easily and they’re not stored as fat right away, so used in smaller doses, the body burns it very quickly. Your brain and memory function are also helped through this anti-inflammatory food so this is much more than just an oil. Make sure you buy one that is cold-pressed, organic and unrefined. 4. 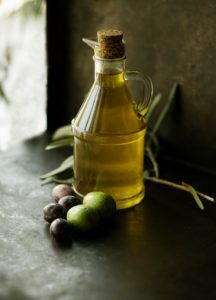 Extra Virgin Olive Oil – If you don’t have a permanent home for olive oil in your kitchen at this point, we’ll look away, while you run to the store and place that sucker right in the cabinet. This oil is linked to decreased blood pressure and cholesterol levels, along with a high amount of antioxidants. Buyer Beware! If the bottle is less than $10/liter, you’re probably not buying the real deal. And if you see the words “pure” , “light”, or “blend”, it’s unlikely that you’re not getting the real deal. 5. 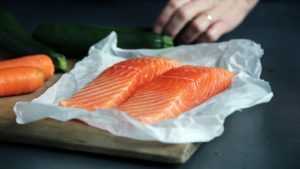 Fatty Fish – Think Salmon, Anchovies, Mackarel, and sardines. Again, this is where you’re getting monster doses of omega-3 fatty acids, which is incredible brain food, something your brain can’t produce on its own. 6. 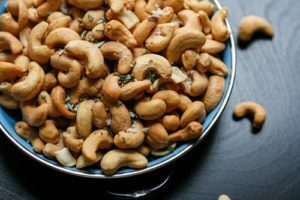 Nuts – These are a simple one, easy to find, lots of variety, easy to travel with, easy to include in nearly any type meal. With fat that helps to lower bad cholesterol, and high protein, these little portable powerhouses help to improve mood and defeat depression. Nut butters is another method of transportation to get these healthy fats into your system. 7. 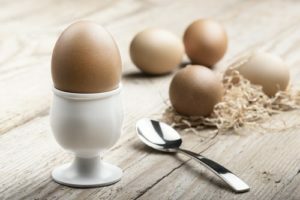 Eggs – one of the best sources for the best protein and fat combination mother nature has to offer. It’s the best complete protein source with a full panel of amino acids. Even more interesting is that the protein is only absorbed properly when eating the fatty yolk along with it. Its as though they were designed to be eaten together…ahem. 8. 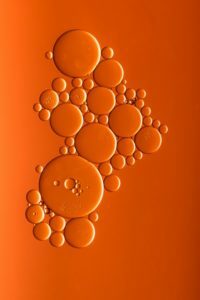 MCT Oil – Medium Chain Triglycerides, are sent straight to the liver after being digested so they can send your metabolism into hyperdrive. This is why so many people add MCT Oil to their morning coffee, tea, or water (or, if you’re Dr. Shawn, they do a shot of it straight in the morning). It gives you more energy while keeping you more full. Another practical way to use it is by adding it to a homemade salad dressing, smoothies or shakes. Fat is crucial to our heart and brain health. It provides healthy and sustainable energy for your body to use throughout the day and it helps you absorb nutrients and vitamins properly, all while keeping your hair and skin healthier. Fat has also been shown to suppress hunger so including healthy fat portions in your meals will help you moderate better portion control, especially if that’s an area you’d like to work on. So add those healthy fats, friend.